With Nearly 14 billion online searches every month there is unlimited opportunity to promote your business. In order to take advantage of this opportunity it is vital to rank high in the search engines, to leverage social media and to make sure your website turns visitors into sales. When people search online for info on products and services often times their attention is limited to only a handful of results closest to the top of the page. The truth is people are lazy, no one wants to search through pages upon pages of results to find what their looking for. That’s why it’s vital for your business to be within those first few, and to stand out from the crowd. How do you get there? Let us devise a plan to improve your visibility on the web. 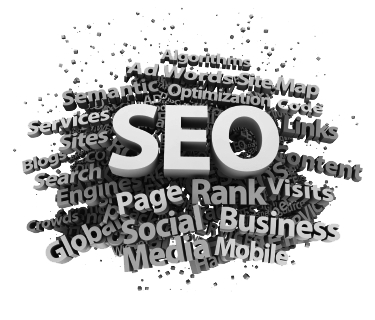 The principal aspect of SEO is the selection of keywords. Distinguishing keywords that are relevant is vital. The only factor that determines relevance is traffic. Difficulty defining keywords traditionally stems from a disconnect between industry specific keywords and user generated keywords. Google tracks and records user search terms, this information is the basis for the selection of keywords. The relationship between keywords and content is a co-dependent one. Relevant unique content is crucial to site performance. Google evaluates sites based upon a formula. Sites are given a grade based upon the degree to which they meet the defined criteria for a given search query. Google results are not based solely on your website; your business’s entire online identity affects your ranking. Social media sites, online directories and customer review sites all have an impact on how well your site performs.